A basic list of ingredients is not copyright protected. (This is why Coca-Cola and KFC don’t share the ingredient list in their products.) That said, a writer’s expression of the list of ingredients as set forth in a recipe or a recipe collection (in a cookbook) is most often copyright protected. When a cookbook author writes a book, they have the privilege to determine their own recipe writing style. This style fits the author and communicates to the cook, consistently, what they are trying to convey in the book and recipes. 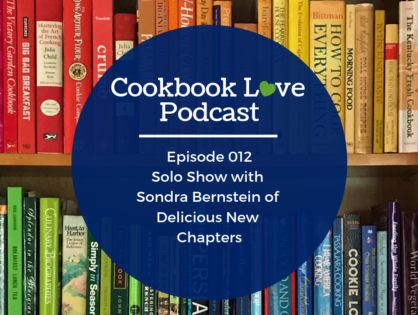 On this episode of the podcast, I take a look at five cookbooks from my own collection and discuss the recipe style of the author. The goal of this episode is to share examples of recipe writing style. I also want to encourage cookbook collectors to look at the books in their collection each as a unique expression of the author. This episode may also be of interest to aspiring cookbook and recipe writers as they determine their own recipe-writing style. On this episode of the podcast, I interview the owner of Once Upon a Thyme Book Shop Kristina Heaton. Once Upon a Thyme is an independent book shop in Beavercreek, Ohio. The mission of Once Upon A Thyme is to provide a community for food admirers. In the interview, Kristina talks about how the shop provides a community space for people to gather around cookbooks, food, and cooking, as well as a place where customers can buy new and used cookbooks and food-related titles, as well as unique kitchenware. Hi everybody and welcome back to another episode of the podcast. Today we have an interview with Founder and Coordinator of The Cookbook Club at the Villages, Florida, Judy ODwyer. Described as Florida’s friendliest hometown, The Villages is an over 55 retirement community. Judy started the Cookbook Club based on a model from a library in Ft. Wayne, Indiana as a way to get to know other residents of the Villages who shared her love for food, cooking, and cookbooks. In today’s interview, Judy describes the club including how they select topics, how she communicates with the members, as well as her tips for starting an in-person cookbook club. Power of Routines and Rituals Workshop on Tuesday, October 30, 2018, at 8:30 PM EST. During this workshop, I will lay out my current routines as well as facilitate time for you to plan more routines in your life based on repetitive daily, weekly and monthly activities. If you’re interested in registering for this workshop, please head over to www.greenapron.com/routines to learn more. In this episode of the podcast, Maggie interviews Stay-At-Home-Dad and Cookbook Collector Eric Lee. Eric is SAHD from St Paul MN who started collecting cookbooks about 5 years ago out of a time in his family’s life when he needed to learn to cook for their evening meal. Eric’s first venture into cooking has a smoky ending when he prepared a meal with a stovetop smoker and BBQ book but quickly grew into a passion for not only exploring cooking but collecting cookbooks as well. 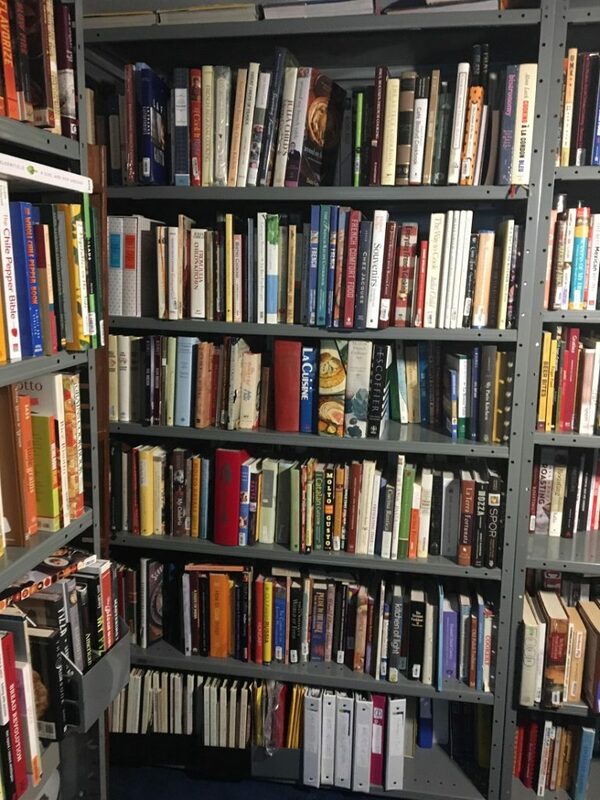 In today’s episode, Eric and I talk about his collection of over 2400 books, how he stores and organizes his collections, and his tips for where to begin if you’re new to cookbook collecting or cooking. In this episode of the podcast, Maggie interviews Ally Billhorn. Ally is a food blogger at Sweet and Savory Eats. Ally’s cookbook interaction has spanned the gamut. Her first experience with print recipes was when she was in college with Taste of Home Magazine and their companion cookbooks. Ally then subscribed to a cookbook-of-the-month club, and started receiving cookbooks as gifts. As a food blogger, now Ally receives from publishers who want her to review their cookbooks on her blog. Ally loves the stories that authors include in cookbooks for the connection to the author including why they make a recipe and who they serve it to. To her, this feels like a conversation with the author, which Ally loves and something that she tries to mimic on her food blog. And, I’d love for you to leave a rating and review. I want to know what you think of the podcast and how I can make this podcast one you love to listen to and share with your friends. Plus, iTunes tells me that podcast reviews are really important and the more reviews the podcast has the easier it will be to get the podcast in front of more people, which is the ultimate goal. 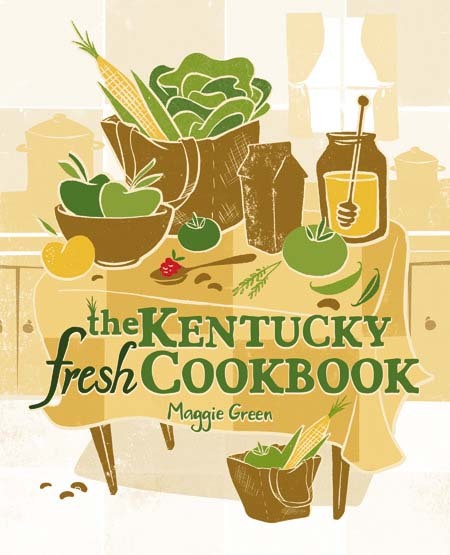 In this episode of the podcast, Maggie interviews cookbook collector Gina Michak. Gina describes herself as a Pittsburg gal living in Virginia and as a self-proclaimed Disney fanatic. Gina owns a business called From Gina’s Kitchen where she bakes specialty cakes, cupcakes, and cookies for her clients. 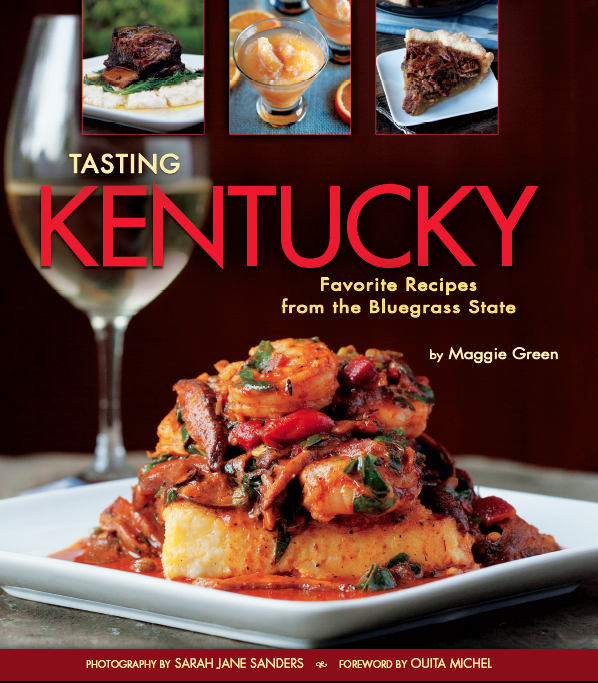 Gina’s favorite features of a cookbook are the stories, entertainment ideas, and suggestions for wine pairings. In this interview, we talk about Gina’s Disney cookbook collection, her love of books about cocktails and bar drinks, as well as how she enjoys finding used and vintage cookbooks at her church parish’s festival. In this episode of the podcast, Maggie interviews cookbook “obsessive” Monique Llamas. Monique participates in online cookbook clubs and loves new release cookbooks. For the past 11 years, Monique has kept a recipe journal to document her use of cookbooks. In our interview, we discuss her journal and how she uses it to inform what she cooks every day. Monique learned her love of cookbooks, and cooking, from her Mom and she bought her first Betty Crocker cookbook when she was in college. In the interview, we talk about Monique’s participation in website-, Facebook-, and social media-based cookbook clubs and the features of cookbook’s she loves. I’d love for you to get notified when I release new episodes so you don’t miss any new episodes. In this episode of the podcast, Maggie interviews cookbook reader and collector Kim Cowherd. Kim is a fellow Kentuckian and retired horticulturist. She has a love of gardening and farmers’ markets due to her horticulture background. Kim has a fondness for stories found in cookbooks with a particular interest in church and community cookbooks. In this episode to the podcast, Maggie interview Kelsey Banfield of The Little Snack Newsletter. Kelsey shares about her love of organizing her cookbooks by color, what she learned from her mom about cookbooks, and more about her newsletter The Snack Cookbook Club. In this welcome and introductory episode to the podcast, host Maggie Green shares her vision, mission, and goals for the show. In addition learn how to connect with Maggie, with the larger Cookbook Love Podcast Community, and how to access show notes for each episode. Do you have an idea for a cookbook concept? Would you like to know more about writing cookbooks? Do you collect cookbooks and want to be interviewed on the show? Comment below and share your story or visit me on Instagram which is currently my favorite way to connect. You can also join my free Facebook Group to connect with more cookbook readers, buyers, writers, collectors, and clubs.